Jake is Associate Professor (Reader) of Educational and Social Statistics in the Department of Learning and Leadership at UCL Institute of Education (IOE), University College London. He is also Director of CREATE (Conducting Research, Evaluations And Trials in Education) in the IOE's Centre for Education Improvement Science. Jake's research focuses on understanding the causes and consequences of educational inequality and the evaluation of policies and programmes aiming to reduce it. He is always keen to hear about new research opportunities in the fields of education, training and skills; social mobility; and policy evaluation. For more information you can view his UCL Research Profile. 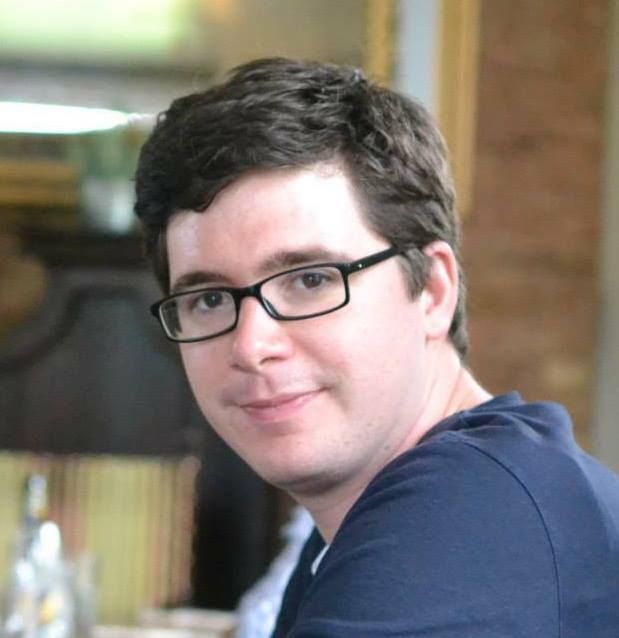 Jake is involved in research and enterprise activities with academics across the IOE, particularly in Quantitative Social Science, the Centre for Longitudinal Studies, and LLAKES Centre for Research on Learning and Life Chances. He is also an Adjunct Member of the Teachers and Teaching Research Centre at the University of Newcastle, Australia. Sullivan, A., Henderson, M., Anders, J., & Moulton, V. (2018) Inequalities and the curriculum. Oxford Review of Education, 44 (1), 1-5. Anders, J., Moulton, V., Henderson, M. & Sullivan, A. (2018) The role of schools in explaining individuals' subject choices at age 14. Oxford Review of Education, 44 (1), 75-93. An earlier version of this work appeared as: Anders, J., Henderson, M., Moulton, V. & Sullivan, A. (2017) The role of schools in explaining individuals' subject choices at age 14. CLS Working Paper, No. 2017/9 (August 2017). Moulton, V., Henderson, M., Sullivan, A. & Anders, J. (2018) Does what you study at age 14-16 matter for educational transitions post-16? Oxford Review of Education, 44 (1), 94-117. An earlier version of this work appeared as: Moulton, V., Henderson, M., Anders, J. & Sullivan, A. (2017) Continuing education post-16: does what you study at GCSE matter? CLS Working Paper, No. 2017/8 (August 2017). Anders, J., Henderson, M., Moulton, V. & Sullivan, A. (2018) Incentivising specific combinations of subjects: does it make any difference to university access? National Institute Economic Review, 243, R37-R52. An earlier version of this work appeared as: Anders, J., Henderson, M., Moulton, V. & Sullivan, A. (2017) Incentivising specific combinations of subjects: does it make any difference to university access? CLS Working Paper, No. 2017/11 (August 2017). Henderson, M., Sullivan, A., Anders, J. & Moulton, V. (2018) Social Class, Gender and Ethnic Differences in Subjects Taken at Age 14. The Curriculum Journal, 29 (3), 298-318. An earlier version of this work appeared as: Henderson, M., Sullivan, A., Anders, J. & Moulton, V. (2016) Social Class, Gender and Ethnic Differences in Subjects Taken at Age 14. CLS Working Paper, No. 2016/6 (December 2016). Godfrey, D., Seleznyov, S., Anders, J., Wollaston, N. & Barrera-Pedemonte, F. (forthcoming) A developmental evaluation approach to lesson study: exploring the impact of lesson study in London schools. Professional Development in Education, 45 (2), 325-340. Parker, P., Marsh, H. W., Guo, J., Anders, J., Shure, N. & Dicke, T. (2018) An information distortion model of social class differences in math self-concept, intrinsic value and utility value. Journal of Educational Psychology, 110 (3), 445-463. Anders, J. (2017) The influence of socioeconomic status on changes in young people’s expectations of applying to university. Oxford Review of Education, 43 (4), 381-401. Part of special issue on "The Best of British - new educational researchers in the UK". Anders, J. & Dorsett, R. (2017) What young English people do once they reach school-leaving age: a cross-cohort comparison for the last 30 years. Longitudinal and Life Course Studies, 8 (1), 79-107. An earlier verion of this work appeared as: NIESR Discussion Paper, No. 454, LLAKES Research Paper, No. 55 and CLS Working Paper, No. 2015/7 (October 2015). Journal pre-print version available here. Anders, J., Jerrim, J. & McCulloch, A. (2016) How much progress do children in Shanghai make over one academic year? Evidence from PISA. AERA Open, 2 (4), 1-13. Parker, P., Jerrim, J., & Anders, J. (2016) What effect did the Global Financial Crisis have upon youth wellbeing? Evidence from four Australian cohorts. Developmental Psychology, 52 (4), 640-651. Jerrim, J., Parker, P., Chmielewski, A. K. & Anders, J. (2016) Private schooling, educational transitions and early labour market outcomes: Evidence from three Anglophone countries. European Sociological Review, 32 (1), 280-294. Parker, P., Jerrim, J., Anders, J. & Astell-Burt, T. (2016) Does living closer to a university increase aspirations, exposure to information sessions and higher education entry? Evidence from an Australian longitudinal study. Journal of Youth and Adolescence, 45 (6), 1156-1175. Anders, J. & Micklewright, J. (2015) Teenagers’ expectations of applying to university: how do they change? Education Sciences, 5 (4), 281-305. An earlier version of this work appeared as: Anders, J. & Micklewright, J. (2013) Teenagers’ expectations of applying to university: how do they change? DoQSS Working Paper, No. 13-13 (October 2013). Anders, J. (2012) The Link between Household Income, University Applications and University Attendance. Fiscal Studies, 33 (2), 185–210. An earlier version of this work appeared as: Anders, J. (2012) What's the link between household income and going to university? DoQSS Working Paper, No. 12-01 (March 2012). Anders, J., Burgess, S. & Portes, J. (2018) The Long-Term Outcomes of Refugees: Tracking the Progress of the East African Asians. IZA Discussion Paper, No. 11609 (June 2018). This work also appeared as: QSS Discussion Paper, No. 18-05. Green, F., Anders, J., Henderson, M. & Henseke, G. (2017) Who Chooses Private Schooling in Britain and Why? LLAKES Research Paper, No. 62 (December 2017). Anders, J., Henderson, M., Moulton, V. & Sullivan, A. (2017) A note on subject choice at age 14 and socio-economic inequality in access to university. CLS Working Paper, No. 2017/10 (August 2017). Anders, J. (2015) Does socioeconomic background affect pay growth among early entrants to high-status jobs? NIESR Discussion Paper, No. 453 (August 2015). This work also appeared as a Sutton Trust Report. The Sutton Trust also produced a Research Brief summarising the findings and details of the press coverage it received (scroll to the bottom of the page). Anders, J. (2014) Does an aptitude test affect socioeconomic and gender gaps in attendance at an elite university? DoQSS Working Paper, No. 14-07 (April 2014). Anders, J. (2012) Using the Longitudinal Study of Young People in England for research into Higher Education access. DoQSS Working Paper, No. 12-13 (December 2012). Anders, J. & Jerrim, J. (2017) The socio-economic gradient in educational attainment and labour market outcomes: a cross-national comparison in Schoon, I. & Silbereisen, R. K. (eds.) Pathways to Adulthood: Social inequalities, structure and agency and social change, UCL IOE Press. Whitty, G. & Anders, J. (2017) 'Closing the achievement gap' in English cities and towns in the twenty-first century in Pink, W. & Noblit, G. (eds.) Second International Handbook of Urban Education, Springer. Whitty, G. & Anders, J. (2016) 'Closing the achievement gap': Rhetoric or reality? in Whitty, G. (ed.) Research and Policy in Education: Evidence, ideology and impact, UCL IOE Press. Anders, J. (2015) Socio-economic inequality in access to higher education in England. PhD Thesis, UCL Institute of Education, University College London. Whitty, G. & Anders, J. (2013) Narrowing the Achievement Gap: Policy and Practice in England 1997-2010 in Clark., J. (ed.) Closing the Achievement Gap from an International Perspective, Springer. A revised version of this work is available as: Whitty, G. & Anders, J. (2014) (How) did New Labour narrow the achievement and participation gap? LLAKES Research Paper, No. 46 (January 2014). Speckesser, S. Runge, J., Foliano, F., Burnall, M., Hudson-Sharp, N., Rolfe, H. & Anders, J. (2018) Embedding Formative Assessment: Evaluation report. Education Endowment Foundation (July 2018). Anders, J., Dorsett, R. & Stokes, L. (2018) The relative effectiveness of blended versus face-to-face adult English and maths learning. DfE Research Report, No. 794 (February 2018). Panayiotou, S., Hingley, S., Bouldon, K., Kyriakopoulos, G., Romanou, E., Dorsett, R., Anders, J., Stokes, L., Weale, M., Smith, J. & Boyle, A. (2018) Quantitative programme of research for adult English and maths: Longitudinal survey of adult learners waves 1 and 2. DfE Research Report, No. 791 (February 2018), Department for Education. Panayiotou, S., Hingley, S., Bouldon, K., Kyriakopoulos, G., Romanou, E., Dorsett, R., Anders, J., Stokes, L., Weale, M., Smith, J. & Boyle, A. (2018) Quantitative programme of research for adult English and maths: Longitudinal survey of adult learners final research report. DfE Research Report, No. 792 (February 2018), Department for Education. Anders, J., Brown, C., Ehren, M., Greany, T., Nelson, R., Heal, J., Groot, A., Sanders, M., & Allen, R. (2017) Evaluation of Complex Whole-School Interventions: Methodological and Practical Considerations. Report to the Education Endowment Foundation. Anders, J. & Dorsett, R. (2017) A review of the matching process for the impact analysis of the HMP Peterborough Social Impact Bond. Report to UK Ministry of Justice (July 2017). Anders, J. & Dorsett, R. (2017) HMP Peterborough Social Impact Bond - cohort 2 and final cohort impact evaluation. Report to UK Ministry of Justice (July 2017). Anders, J., Bernini, M., Bewley, H. & Stokes, L. (2016) School performance in coastal communities. Report to the UK Department for Education. Speckesser, S., Anders, J., De Coulon, A., Dorsett, R., Espinoza Bustos, H., Kirchner Sala, L. & Nafilyan, V. (2015) Empirical research on Youth Transitions to, and within, the labour market. BIS Research Paper, No. 255 (October 2015), Department for Business, Innovation and Skills. Anders, J. (2018) Review of Andreas Hadjar and Christiane Gross (eds) Educational Systems and Inequalities: International Comparisons. Journal of Social Policy, 47 (4), 861--863. Jake's current research projects include grants from UKRI Economic and Social Research Council, and evaluations of randomised controlled trials in schools funded by the Education Endowment Foundation. There's more information on a selection of these projects below. Private school pupils form a relatively small proportion of the pupil population, but their influence extends far more widely. British private schooling is quite unusual in international comparison, combining both very high fees and only a low level of public subsidy through tax reliefs. From earlier studies we know that private school alumni educated in the 20th century on average achieved well in public exams and had substantially greater success in the labour market, when compared with similar pupils who attended state schools. In the last 30 years, however, the private schools have changed enormously, as has the economy. School fees have risen by around three times in real terms. There have been no comprehensive studies, however, of changes in private school participation and of the value-added delivered by modernised private schooling in the 21st century. The aim of this project is to investigate two key related aspects of the role of private schools in Britain in the 21 st century: the choice of a private school, and the association of private schooling with educational outcomes and with subsequent labour market and broader outcomes in early adulthood. This project is funded by UKRI Economic and Social Research Council. UCL Institute of Education and the Behavioural Insights Team working in partnership were selected by the EEF to run a large multi-trial evaluation of five cultural learning interventions in English primary schools. 8,500 children in 400 state schools with a significant proportion of pupil-premium eligible students will participate in trials of five cultural learning activities, starting in September 2018. These trials represent the biggest study of its kind ever undertaken and will provide much-needed insight into both what works and how it works. We are also working closely with the RSA on their broader work to contextualise effective cultural learning activities and improve the use of evidence in this area. This project is funded by the Education Endowment Foundation (EEF) and the Royal Society for the encouragement of Arts, Manufactures and Commerce (RSA) and more information is available from the RSA website < a> and the five evaluation pages on the EEF website: The Craft of Writing, Power of Pictures, Young Journalist Academy, Speech Bubbles, and First Thing Music..
Jake regularly contributes to Masters-level modules run by both the Department of Learning and Leadership and the Department of Social Science at UCL Institute of Education. Students should generally find resources for these on the relevant UCL Moodle site. He also regularly supervises Master's students completing dissertations as part of courses run by the Department of Learning and Leadership, and supervises doctoral students, including in partnership with UCL School of Public Policy and the Behavioural Insights Team as part of the UCL/BIT PhD Scholarship programme. Eliza Kozman (2019, expected), principal supervisor with Prof. Peter John, KCL. Thesis title: "Addressing barriers to university progression for white working-class boys". Sylvan Häs (2021, expected), subsidiary supervisor with Prof. John Jerrim. Thesis title: TBA. Bibi Groot (2018), subsidiary supervisor with Prof. Peter John, KCL. Thesis title: "Social support and academic success: field experiments in further education in England". Passed with no corrections. Natasha Codiroli-McMaster (2018), maternity cover supervisor with Prof. Alice Sullivan and Dr. Lindsey Macmillan. Thesis title: "Stratification by field of study in Higher Education". Previously, Jake was a Research Fellow in the Employment Group at the National Institute of Economic and Social Research, prior to which he completed a PhD in Economics of Education at UCL under the supervision of Profs. Lorraine Dearden (UCL/IFS) and John Micklewright (UCL). © Jake Anders. Design: HTML5 UP.